An Englishman in Colombia: The Tortoise Won! At least Oscar turned up this morning, the bell went at 8.45am, and immediately he told me about his inflamed knee, he was here, that was the main thing, so all the lambasting I had intended to do, went out of the window. However I did tell Oscar that I was concerned about the amount of materials, especially tile adhesive, he was using, as it was costing me a fortune, he had already used double the quantity the Tile Supplier said I needed for the job. 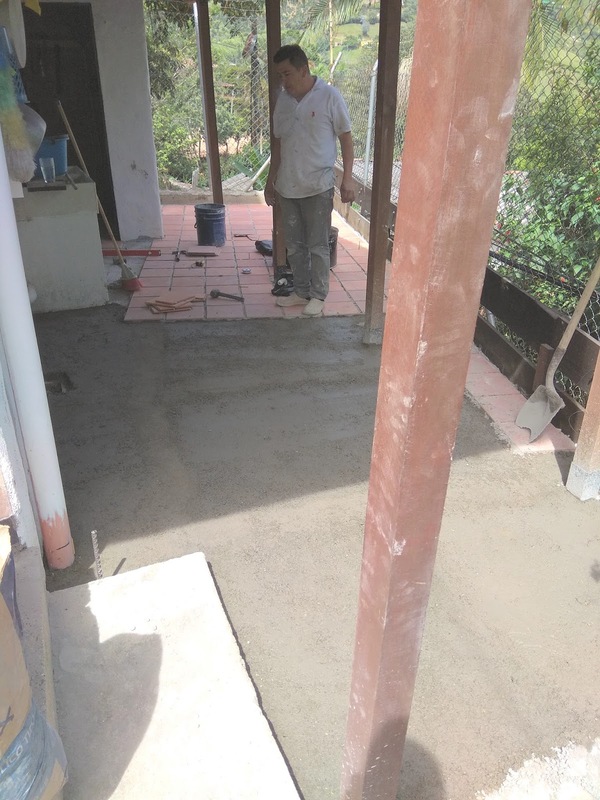 Oscar came up with a solution, it was still going to cost me, but less than just using adhesive, he mixed more concrete, and brought the level up, so he would only need a skim of adhesive. That done, he had to remove the last of his abortive tiling, which goes under the wash stand (with the broom leaning against it) and the other side of the same, but they didn't want to budge, he had done too good a job of sticking them down, so that took him some time. 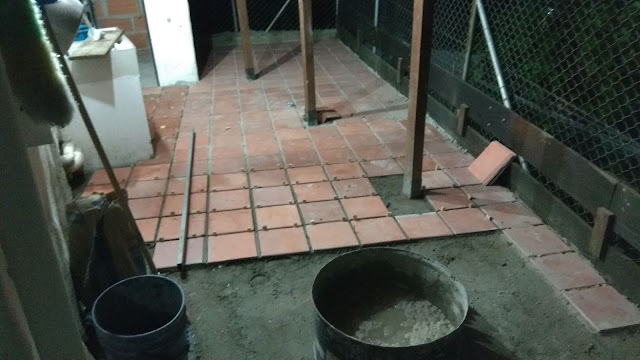 I had told Oscar that I would pay him extra if I was happy with the job when it was finished, which cheered him up, but it did not speed him up, and when he packed up at 6.45pm, he still had a long way to go. If I am honest, I don't think he will be finished tomorrow, which makes me think that he hasn't got any other work on at the moment, and he is using me to pass the week, which may suit him, but I have already had to change my plans for the week, and it looks as if I may have to cancel them, which brings me to the title of this post, had he been in a race with a tortoise, I am sure the tortoise would have won!!! but at least I am now happy with the quality of the work.